Santa’s winter workshop might be in space, as University of Warwick researchers are exploring whether snowy moons over a billion kilometres away from Earth are potentially habitable. According to Dr David Brown, and colleagues at Warwick’s Centre for Exoplanets and Habitability, life could be supported on moons of ice and snow with vast oceans under their frozen surfaces, orbiting Jupiter and Saturn. 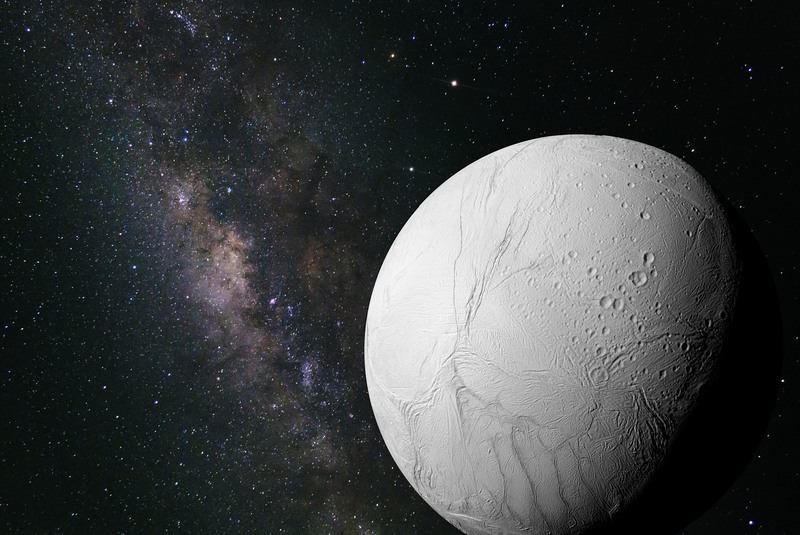 One example is Enceladus – the sixth largest moon of Saturn, a frosty environment of perpetual winter, its surface covered in fresh ice and snow, with a noon temperature of −198 °C (−324 °F). Although conditions seem inhospitable, researchers suggest that life could thrive there thanks to large amounts of water (which may already be home to microbial life) underneath the icy surface, which can protect beings from harmful ultraviolet radiation and cosmic rays. Regular mixing of the water from changes in temperature and pressure, and the potential for hydrothermal vents like the ones we see in Earth’s oceans, would also encourage life to be sustained. The snowy moons orbiting Jupiter and Saturn open up the possibility that more of the solar system is habitable than we thought - giving us more opportunities to search for alien life, and even to discover new terrestrial homes amongst the stars. “Living in a never-ending landscape of snow and ice all year might not seem particularly inviting, even for Santa! But these moons represent some of the best chances for life beyond Earth in the solar system, and are environments that we’re very interested in exploring. “Looking at places like Enceladus gives us a great chance to explore the potential of these winter wonderlands for supporting life. In 2005, the Cassini spacecraft flew close to Enceladus and revealed details about its surface and environment in great detail – including water-rich plumes venting from the south polar region of the moon. The JUpiter ICy moons Explorer (JUICE) mission will be launched in 2022 by the European Space Agency – this will similarly reveal details of Jupiter’s icy moons. The Centre for Exoplanets and Habitability at the University of Warwick is a cross-disciplinary research centre that was set up to investigate questions concerning life on this planet and beyond. It includes researchers from both science and arts subjects.